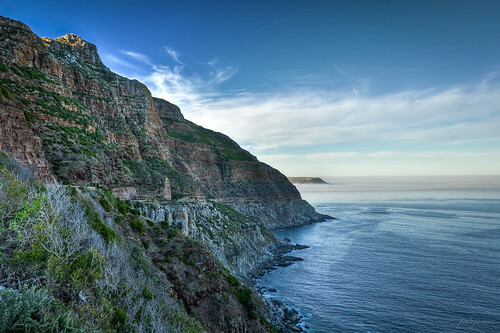 A Cape Town Chapman’s Peak Drive tagged image from photographer – Jonohey as published on Flickr. A cold morning to start our hike up Chapman’s Peak also gave us pretty amazing views along this dramatic coast. If you look closely (maybe in Lightbox view – press L) you can see the road winding it’s way along down to Chapman’s Peak town.